Not what you usually see in a shopping centre. 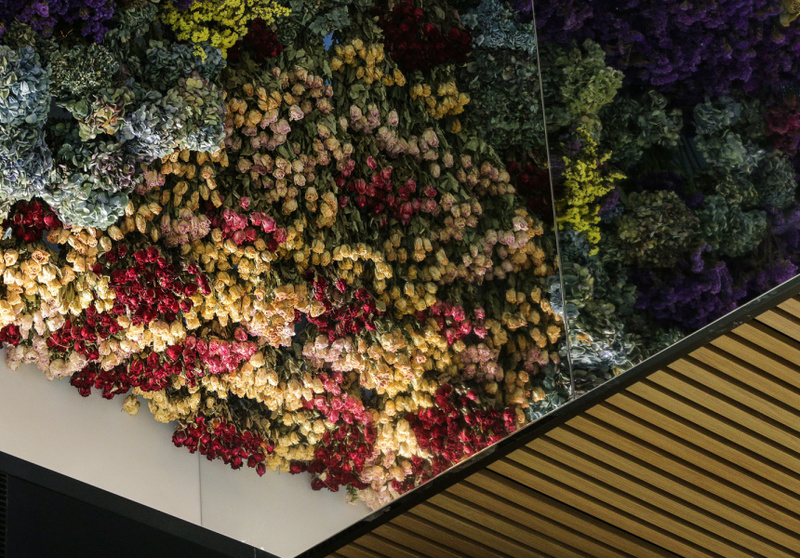 The Canopy, an installation of flowers by artist Rebecca Louise Law, has been unveiled as the centrepiece of Eastland’s latest wing, The Beauty Garden. 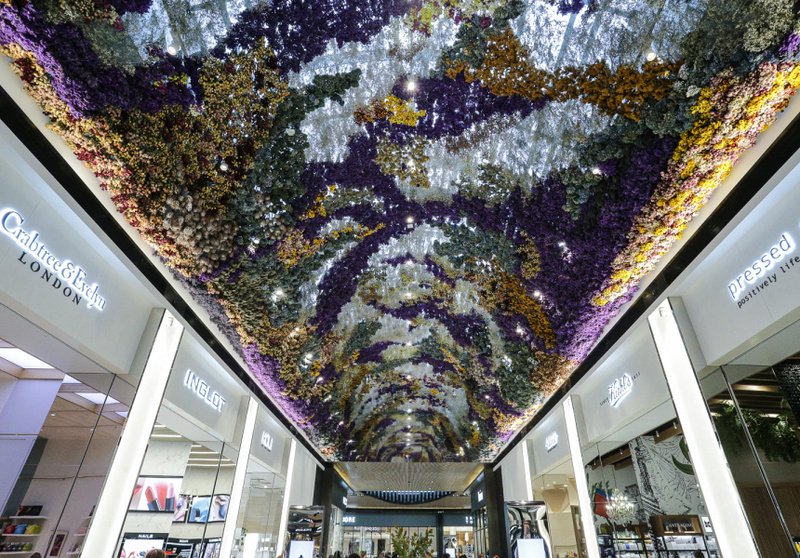 The flowers are suspended from the arched glass roof of the shopping centre and cover the whole 200-square-metre space. “This is the largest permanent installation I’ve ever done,” says Law. The flowers, including Australian natives such as banksias and paper daisies, come from local farms and florists. They were dried, then individually hand-tied with copper-wire before being attached to the roof. The best thing about the permanent installation – other than the smell – may be the way it evolves over time. It looks a certain way now: freshly preserved and full of colour, but its exposure to sunlight will cause the flowers to lose some of their vibrancy over time. The stems and copper wiring will become more prominent and the look of the installation will transform. 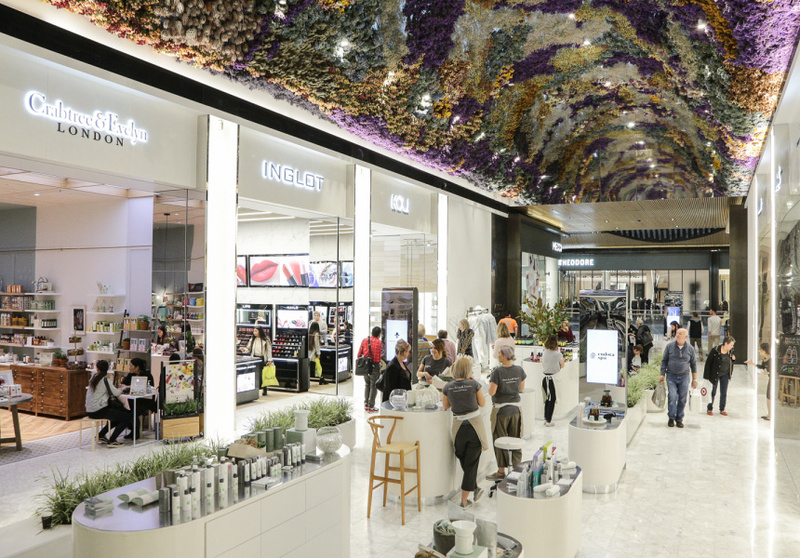 Law hopes The Canopy introduces a new perspective on beauty to the precinct, which features local and international retailers such as Mecca Cosmetica, iKOU, Kiehl’s, Napoleon Perdis and Endota Spa. 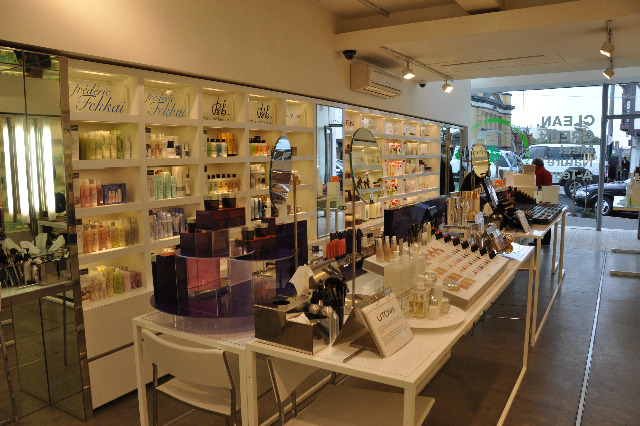 Something to reflect on next time you’re searching for cosmetics or popping in for a treatment. The Canopy is now on display in Eastland’s Beauty Garden.